We offer a large collection of T-shirts for women this summer. They are beautiful high-quality T-shirts with a round neck or V-neck. We also have feminine T-shirts with, for example an off-shoulder neckline or a low back. Some of the T-shirts have unique details such as small pockets with beads, ruffles, little strings or a small hem at the sleeves. We also offer various T-shirts with prints: all-over prints but also prints on the front only. Multiple items have been dyed using the garment dye method. This means the T-shirt is stitched together first and then dyed. The garment dye method makes the fabric extra soft and gives the item a vintage surf look. In the new summer collection, you will find ladies' T-shirts with bold prints, funny texts, and beautiful photo prints. Our shirts are made of all kinds of materials. We have, for instance, shirts made of ausbrenner: a smooth fabric that is almost translucent in some places. This makes the fabric very soft, airy, and comfortable. The garment dye T-shirts, which are only coloured after they have been stitched together, also feel as soft and comfortable as your favourite old T-shirt. The term "t shirt" is derived from the form of the shirt: it is shaped like the letter T. T shirts are short sleeved upper garments. The necklines may vary: some have crew necks, others v-necks. T shirts for women are usually made of a stretchy knit fabric called jersey. Jersey is made of cotton or a blend of cotton and some other material. T shirts are available in a variety of colors and in different fits, such as normal fit and slim fit. Slim fit clings more tightly to the body. At the Brunotti webshop it is easy to shop online for t shirts in different colors and with different prints. 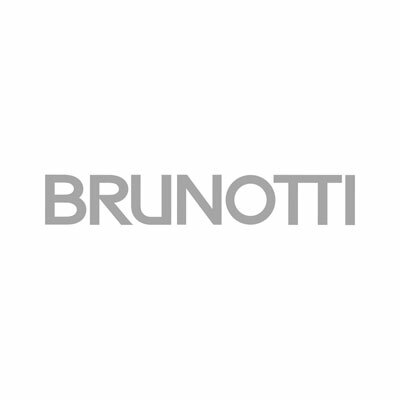 Women especially love to shop online, so at brunotti.com they have come to the right place! We offer the largest collection of Brunotti t-shirts online. Here you can view our entire collection in your own time, at your own pace. You can check right away whether your size is still available, because this is listed with each item. Placing an order is easy, and you can pay safely with iDeal, PayPal, Visa, Mastercard or through authorized payment. If, in the end, you are dissatisfied with your purchase, you can return the item in its original packaging, and we will distribute a refund.